Standlee Forage products are now available at a Farmers Coop location near you! Farmers Coop is your distributor of Standlee Forage & Feed Products in Arkansas and western Oklahoma. Since 1981, Standlee has grown the highest quality sun-cured western forages. Standlee farms produce Alfalfa, Timothy, Orchard Grass and Alfalfa Mixed Premium Western Forages in the fertile volcanic soils of Southern Idaho. 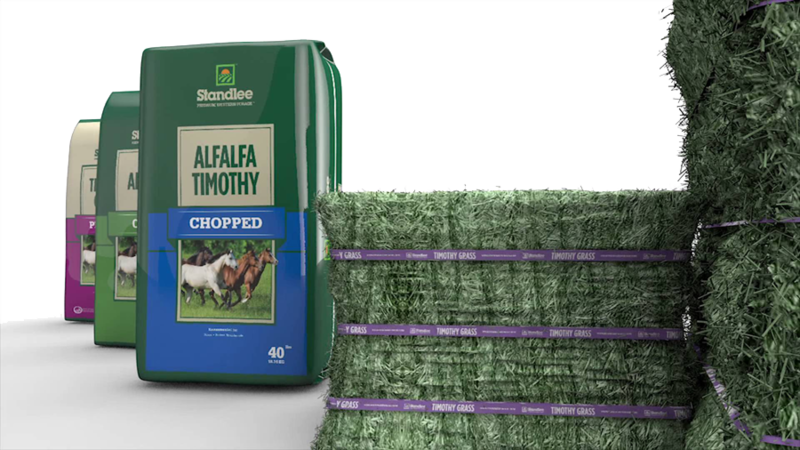 Standlee Premium Western Forage products are available in different formats including bales, cubes, pellets, chopped, shreds and treats. Stop by Famers Coop in Fayetteville, Ft. Smith, Van Buren, Greenwood, Elkins, Ozark and Decatur to see what all the fuss is about. Not sure if your local Farmers Coop location carries Standlee Forage products? Give them a call before you head over to make sure. New to Standlee products? Watch the short video and learn more about Standlee Premium Western Forage. This entry was posted on Wednesday, December 19th, 2018 at 4:29 pm	and is filed under News & Updates. You can follow any responses to this entry through the RSS 2.0 feed. Both comments and pings are currently closed.